These two tables appear to hold each other upright. 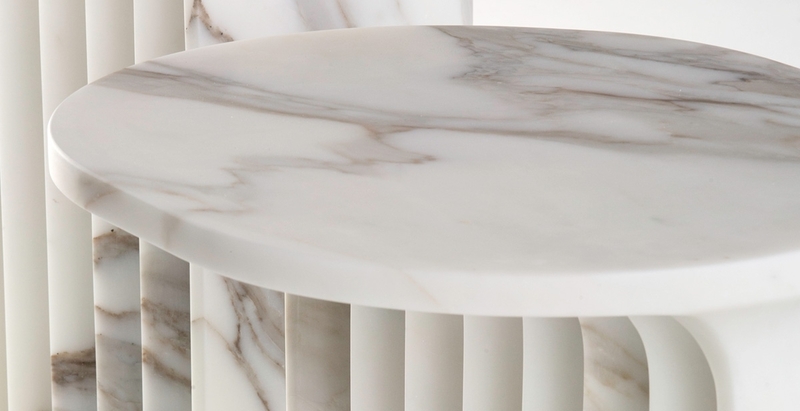 When separated, however, they reveal the craftsmanship that went into the creative play on filled and empty space, accentuated and embellished by the marble’s natural veining. A first for French designer Victoria Wilmotte, and yet another success for master craftsman Giorgio Angeli.